Sometimes you need to bring one group of members across to a new Membership Level. There are a few steps to this and in this example we'll move the "2016 Seniors" to "2017 Seniors". You'll see the list updates to show only the contacts who have that specific Membership. This makes it easy to add those contacts together as a new Group. Select "Add Group" to create a new group with these contacts. In the pop-up give the Group a name and select "Add". I've named mine "Group to transfer to 2017 Seniors". 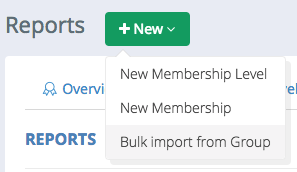 Now go to the + New button and select "Bulk import from Group". 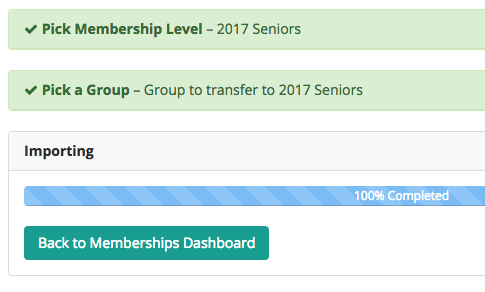 Pick a Membership Level to add this Group to and select "Continue". I'm selecting 2017 Seniors Membership Level. If you need to create a new Membership Level for this Group, go ahead and do that now. 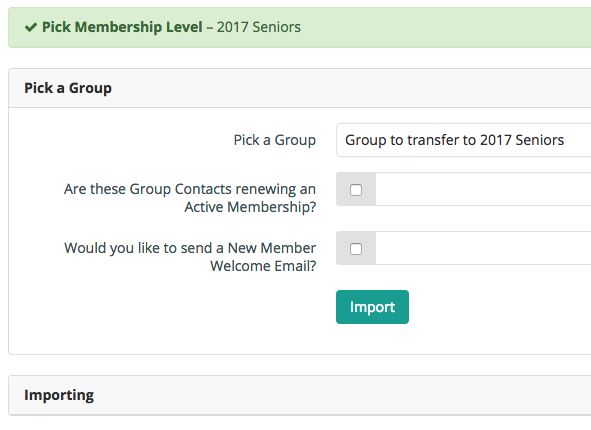 Your Group will be available to import after you've created the new Membership Level. In the drop-down list, select the Group you created and tick any relevant options. Double check you've got the right Membership Level selected (in the green heading) and that you've picked the right Group. Select "Import" to start importing those contacts into this Membership Level. The import will show that it's uploading and when it is complete. Great work! 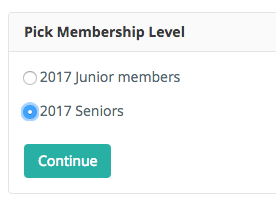 You can now view the updated Memberships Level in the Memberships Dashboard.